Transformed from a rough and ready local dive, this stylish pub and dining room is a welcome new addition to the West London gastropub scene. An abundance of plants, congenial atmosphere and superb food make it a perfect spot for everyone from funky young things to families. The Bridge boasts an extensive brunch menu, mouthwatering meze style bar snacks, refreshing salads and satisfying mains. Tuck into the wonderfully sloppy Eggs Royale (smoked salmon and scrambled eggs) or feast on tangy Thai fish cakes, spicy merguez sausages or oriental duck noodle salad. Come summer, the large outdoor wooden patio, which comfortably seats 40, is regularly filled with enticing smells from the barbecue serving grilled seafood and meats. The Bridge in Barnes gyms, sporting activities, health & beauty and fitness. 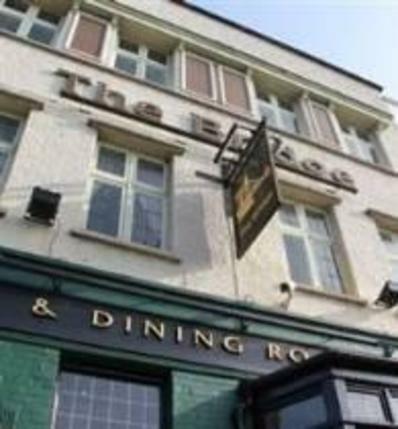 The best pubs near London The Bridge in Barnes. The Bridge in Barnes clubs, bars, cabaret nights, casinos and interesting nightlife. Where to have your meeting, conference, exhibition, private dining or training course near The Bridge in Barnes. From cheap budget hotels to luxury 5 star suites see our discounts for The Bridge in Barnes hotels, including Holiday Inn Express London Hammersmith from 80% off.